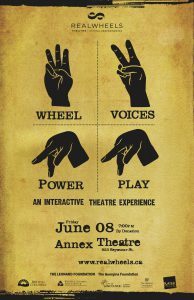 WHEEL VOICES POWER PLAY: An Interactive Theatre Experience was presented at the ANNEX Theatre for a one-night audience-interactive event on June 08, 2018. 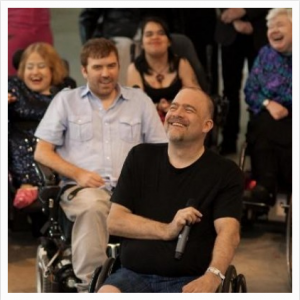 WHEEL VOICES POWER PLAY was structured as a six-day workshop intensive based on Augusto Boal’s Theatre of the Oppressed methodology facilitated by Tom Scholte, and led by a team of Deaf performers and performers with disabilities. This process was rooted in the eagerness to scrutinize and challenge questions of identity and marginalization. 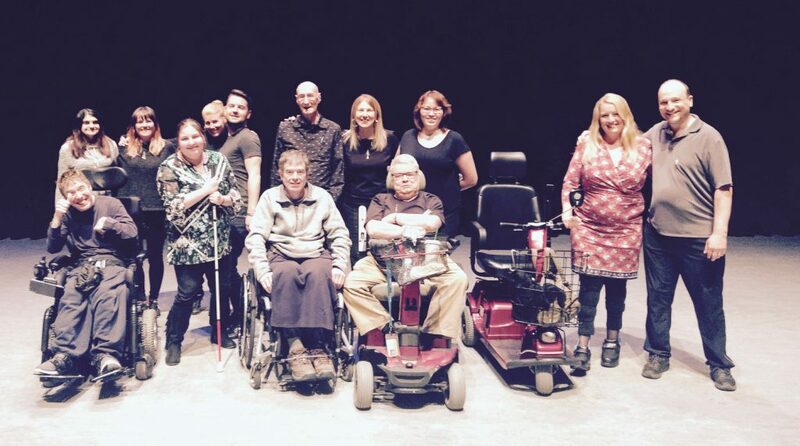 The public sharing showcased real-life scenarios experienced by performers who live with disability and/or Deafness and invited audience members to come up onstage to offer alternatives for making social change and affecting social justice. This was empowering and entertaining for the performers and audience alike! WHEEL VOICES POWER PLAY is an example of theatre for dialogue creation and conflict resolution; theatre for community healing and empowerment. Click the link to view pictures from the Power Play workshop and presentation! Special Thanks: ANNEX Theatre, G.F. Strong, John Endo Greenaway (Graphic Design), Laura Mackenrot, SCI BC, Kevin de la Paz (Videography), Levi Pease (Theatre Technician- ANNEX), Caspar Ryan (Videography), Kazuho Yamamoto (Booking & Event Coordinator- ANNEX).